A landmark annual rock festival in the southwestern German city of Nurburg, prematurely shut on its opening night on Friday due to terrorist threat, was resumed, the event organizers said Saturday, adding that the threat was not confirmed. MOSCOW (Sputnik) — Police suspended the festival, stressing that the safety of an estimated 85,000 concertgoers who attended the three-day Rock am Ring festival was their top priority, and citing the May 22 attack on a concert in Manchester as the cause for heightened security. "Rock am Ring 2017 will go on! After intensive searches and sweeps of the complete festival site by the police the suspicion of a potential terrorist threat has not been confirmed. Set up for day 2 of Rock am Ring has commenced and the program is going to be resumed in the early afternoon. The incredibly disciplined fans deserve all our respect and gratitude," the organizers wrote on Facebook. Germany has been on edge since a string of deadly attacks on public venues last year. Following last week’s bombing of an Ariana Grande concert in the United Kingdom, which left at least 22 people dead and about 120 injured, German police stepped up security. 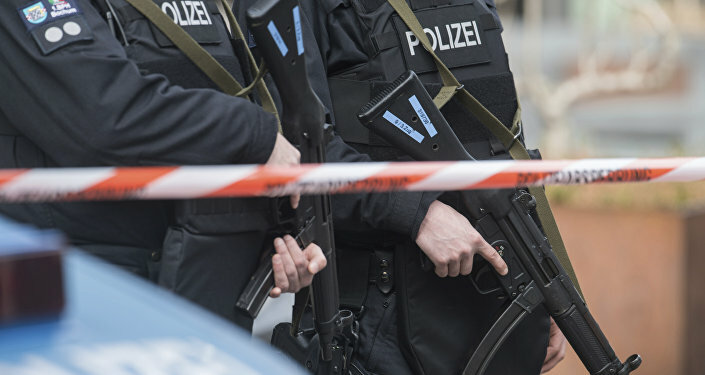 On May 30, the police of Germany’s Brandenburg state detained a refugee, allegedly from Syria, over a suspicion of "joining jihad" and possibly preparing a terrorist attack.